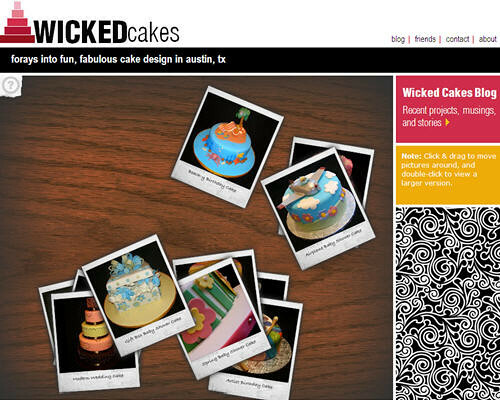 Wicked Cakes on Fox 7 News — Good Day Austin!! I had the fabulous opportunity to participate in the Cupcake Smackdown pre-party this morning at Walton’s downtown, where we had cupcakes from L’s Cupcake Cafe, Cupprimo, Sugar Mama’s, Hill Country Cupcakes, and Walton’s. The two segments included brief chats with all the bakers (including yours truly!!) and a tasting of all the cupcakes. I have a brief interview spot in the video that starts out with Nick holding the flowers (no cupcake eating), and my cupcake is reviewed last in the cupcake tasting video. Check ‘em out!! This is just a preview of the event to come tomorrow… The Cupcake Smackdown starts at 4pm (yep, 4 - my earlier post was inaccurate!) at the One-2-One Bar at 5th and Brazos! A big thanks to Jennie from misohungrynow.com for organizing the event! Win Wicked Tickets & a Custom Cake from Wicked Cakes! BOB FM is doing a fabulous promotion of the Broadway hit Wicked, coming to Austin August 12th-30th at the Bass Concert Hall! Winners of the BOB FM contest will win free tickets to the show, as well as a custom cake designed by Wicked Cakes… we’ve provided certificates for three custom cakes for the contest! Register for the contest on BOB FM’s website and win! I am so, so excited to share this latest cake with everyone… It’s a bridal shower cake inspired by the shower invitations and meant to look very much like a wedding cake. It’s two tiers - one vanilla, one chocolate, each filled with vanilla buttercream and iced in vanilla fondant. 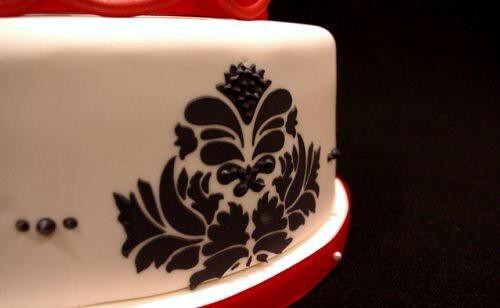 It’s decorated in a damask pattern with royal icing and accented with hand-made sugar flower and the bride’s new monogram. Wicked Cakes gets a facelift! 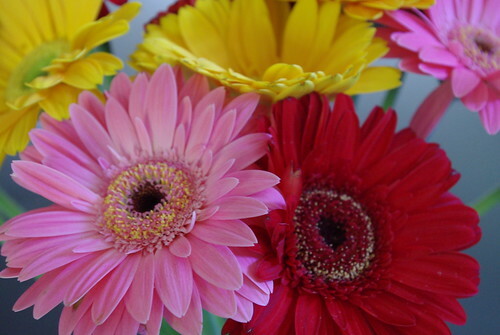 What a lovely Sunday morning here in Austin… This weekend has been fabulous… lots of cake-making fun, and I was able to spend several hours on the website yesterday making some upgrades. As you can see, Wicked Cakes has gotten a major facelift with a nifty flash gallery on the home page and some new content. There’s lots more to come (think: galleries! ), but I have to step away from the laptop for a few hours or I’ll go nuts. Check out the updated site - would love to hear your thoughts/comments! Just took this picture with my new, fabulous DSLR camera! I just used the auto-focus mode, as I’m still a photography newbie, but, wow! What a difference from my little point-and-shoot! 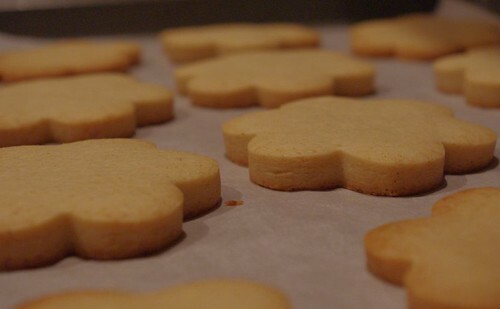 I’m working on a sugar cookie photo tutorial that I’ll be posting soon! See the sneak peak below! Hello! Thanks for coming by to check out my cakes! My name is Nicole, and I live in lovely Austin, TX. I developed a love of baking and cooking as a young girl and have dabbled in desserts since then. 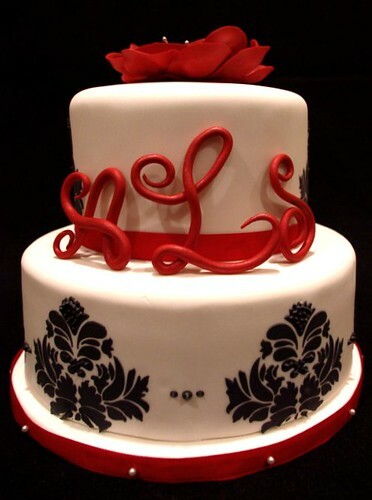 Most recently, I’ve developed a real passion for doing special occasion cakes for family and friends. What you see here are the results! I’ve been doing a lot of fondant and gumpaste decorating lately, and I’m always looking for new techniques to learn. Check out this blog and/or the my cakes page to see my latest projects. I’ve tried to include as much info as I can about each cake, but feel free to contact me with questions.